Just ahead of the weekend Blackberry's new hope, the PRIV smartphone, was revealed in an official video, published on YouTube. The short and snappy video shows Blackberry's custom version of Android Lollipop being used, then the background music steps up a beat, and we see the side-out physical keyboard spring into action. 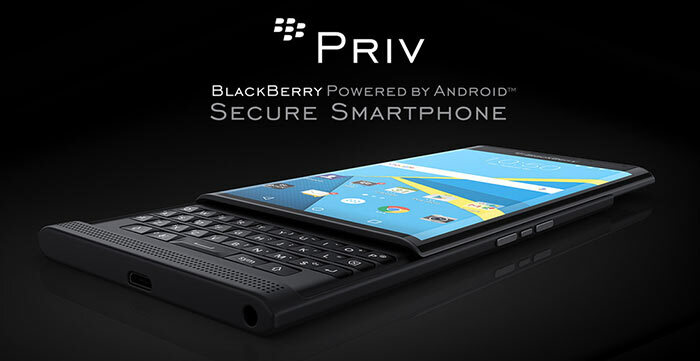 PRIV stands for Privilege and Privacy, according to Blackberry's marketing department. With this new smartphone Blackberry is trying to create a mix of all the features that it thinks its users want; resilient security and privacy features, a physical keyboard so beloved of Blackberry fans, plus the app library of modern Android devices, with a big screen phablet experience. Will it end up, in practice, like the proverbial 'horse designed by committee'? The user in the video seems to 'reach up' a lot while operating the PRIV. The PRIV spearheads Blackberry's transformation into "a multi-platform provider that can secure the mobile enterprise – regardless of type of device." Security is going to be very important and that's one word that isn't usually associated with 'Android', in a good way. Blackberry CEO John Chen says there is a "unique key ‎in the chipset of every PRIV smartphone to authenticate the Android OS, so users can be confident their PRIV is not running malicious firmware that could violate their privacy or security," He also touts his company's ability to patch vulnerabilities "much faster than other Android smartphone makers," and further security features to make PRIV the most resilient, secure smartphone available. 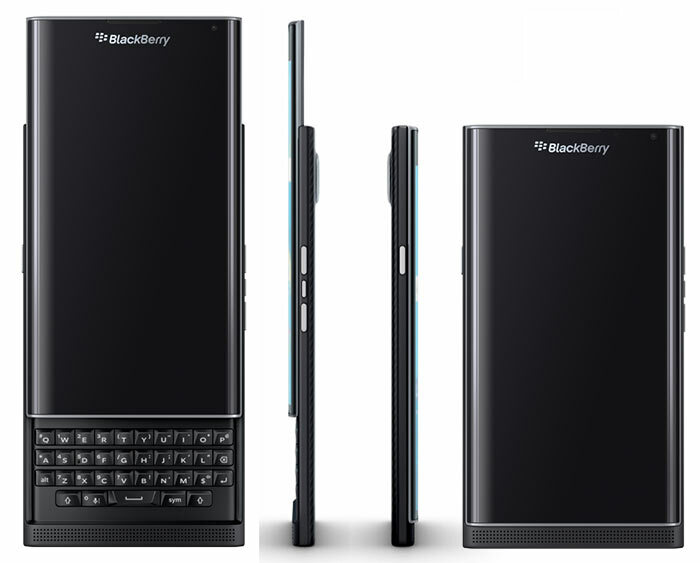 The UK's Carphone Warehouse has the Blackberry PRIV listed to pre-order. You can buy it SIM-free for £579, or on a pay monthly contract from £49 with zero upfront cost. The cheapest monthly option is £79.99 upfront and £32.50 per month, but with just 1GB of data. Delivery is expected by 6th November. Must admit that this looks interesting, onscreen keyboard as well as the physical and moving away from Blackberry OS over to Android with extra security should help sell this. It's almost a shame they've had to do this. BB10 was/is a ****ing great OS, yet nobody bought into it really. Was definitely thinking this would be my next phone, been so long since a qwerty Android phone has been released - but ouch not at that price! I guess it is pretty well spec'd but like most people in the world I don't need a phone that powerful. Hopefully it will sell like hot cakes though and it'll kick start the market to produce cheaper phones with proper keyboards. You can't get away with videoing a priv in this country.. It's kind of too little too late for BB.